Clos du Bois winery improves bottling efficiency 20 percent with 21st century information systems. To see a video explaining the automation and data collection advances at Clos du Bois, click on the image. Winemaking is a craft rich in tradition, built on techniques and knowledge passed down through the ages. But in the 21st century marketplace, consumer demands, increasing competition and margins thinner than a Pinot Noir grape skin have forced wineries to evolve and more critically evaluate their production processes. Clos du Bois, a super-premium winery in Sonoma County, Calif., embarked on an initiative to employ advanced automation and information technology and couple it with the company’s long wine-making history. The winery integrated the automation systems of disparate processes to create an insightful window into the wine-making process. The result was more production flexibility, increased throughput and better business decisions that have enhanced its competitive position. In November 2004 – 30 years after bottling its first vintage – Clos du Bois reviewed its manual production processes to identify the areas that had the greatest impact on overall production in terms of throughput and efficiency. The high-speed bottling line was a system that had a significant influence on overall production and yield, yet was experiencing unplanned bottlenecks and stoppages and running at a mere 65 percent efficiency. However, without sufficient clarity into what was actually happening, it was difficult to identify the areas that needed improvement. In order to make any improvement, Clos du Bois first needed to understand where the problems were and what was causing them. The first thought was a data acquisition system that could deliver accurate, real-time information to help management identify the causes of problems and drive continuous improvement. Clos du Bois selected Rockwell Automation’s Line Performance Solution as the backbone for the winery’s enterprise data acquisition. The team installed FactoryTalk Metrics, a Microsoft Windows-based software application for evaluating the performance of critical production assets on its production server. FactoryTalk Historian was added to collect, analyze and report production data through web-based reporting via the Clos du Bois intranet. FactoryTalk Transaction Manager gathers information housed in the controllers of each work cell and delivers it to the central server. By working seamlessly with one another and the Rockwell Automation control systems, these software tools help extract manufacturing data, allowing Clos du Bois to review current and historical production information. The system provides operators and managers with on-demand access to downtime monitoring and alerts, production performance analytics and equipment operating metrics. Numerous reports display production metrics associated with time, shift, operator, work order and product. Clos do Bois was pleased that the solution provides a clear strategy for getting information from the line, putting it into a database and creating systems and reports that give accurate information to the appropriate people. 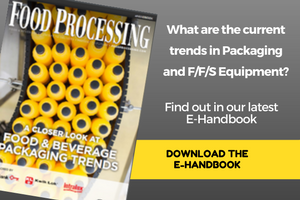 Engineers can now take that information and work with bottling line personnel, management and maintenance to determine how to improve performance on the line. This information is displayed in easy-to-read graphics and customized reports on standard PCs off the shop floor. With a few mouse clicks, management is able to view general operating equipment effectiveness calculations by work cell, downtime for each machine, quality data, changeover times, as well as specific events that cause line stoppages, such as a jammed bottle or spilled product. Clos du Bois still is realizing the tangible benefits of the solution. The amount of production information gathered by the system already has helped change how the winery collects, measures and analyzes bottling. This has helped management compile a historical database of production information to set a benchmark for continuous improvement. Management now can easily identify and pinpoint the source of production problems and employees have a better understanding of the issues that cause downtime and inefficiencies. Bottling stoppages and setbacks have been reduced and efficiency is up. Metal detectors are the final defense as Quali Tech blends flavors for food processors.